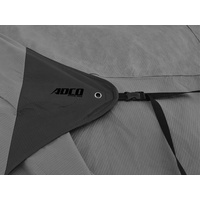 Keep your pop-top looking good as new with this durable all-weather cover from ADCO. 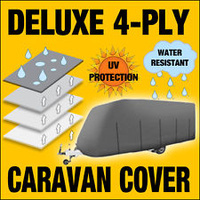 Compatible with pop-tops measuring between 14 and 16 feet in length, this ADCO cover is specially designed to achieve a snug fit over your pop top caravan. 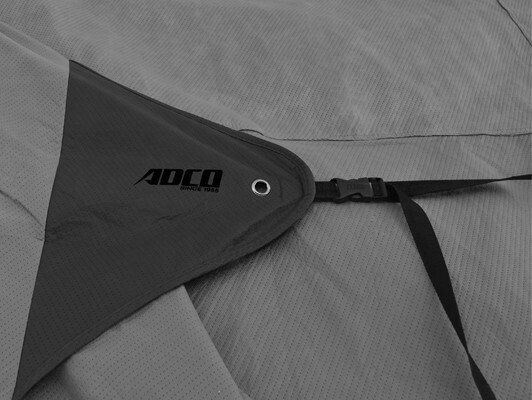 Its user-friendly straps and buckles, convenient cinching system for loose fabric, all contribute towards preventing billowing or flapping. 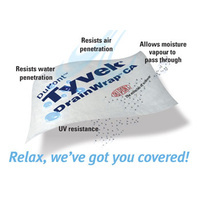 Ideal for long storage periods, the cover is made of a combination of 4-layered Dupont Tyvek and heavy duty polypropylene. 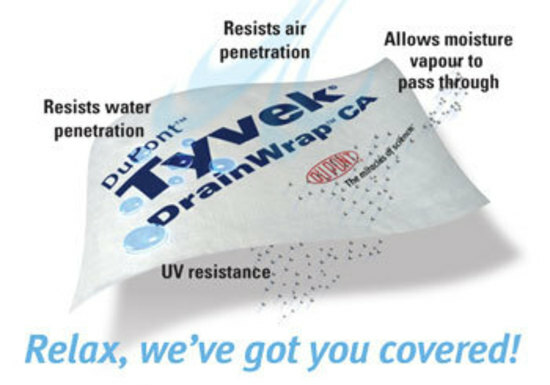 The Dupont Tyvek top panel serves the additional functions of blocking harmful UV rays (up to 99.8%), and preventing condensation and mould build-up underneath the cover. 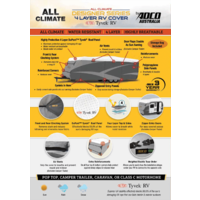 Additional air vents also help maintain essential air circulation between the cover and the pop-top, making this product a breathable shield for your pop top. 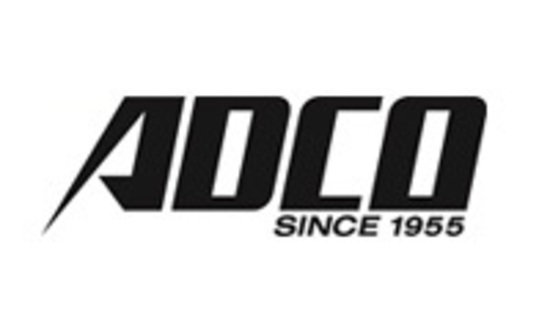 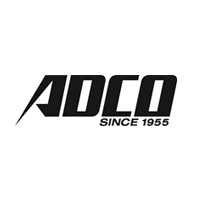 In tune with the signature quality of all ADCO products, this pop-top cover sports superior material quality and workmanship. 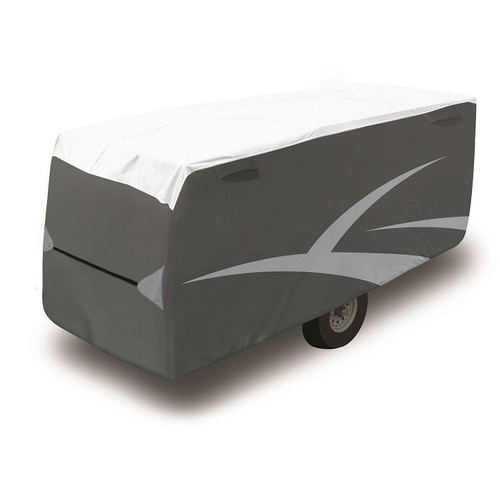 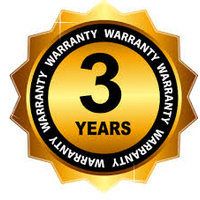 Its corners are double stitched and equipped with extra reinforcements for protection against sharp edges and wear and tear during installation and removal. 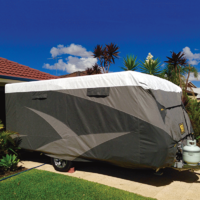 With a stylish modern look to match its premium quality, this ADCO pop-top cover is quite the complete package. 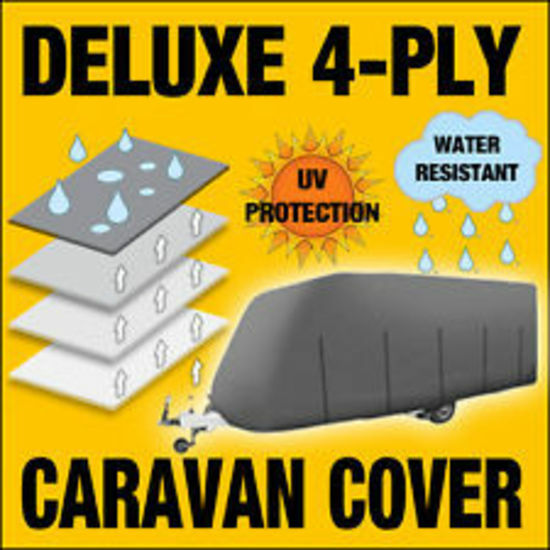 Protects against sun, rain and snow. Quick delivery time was very pleasing. 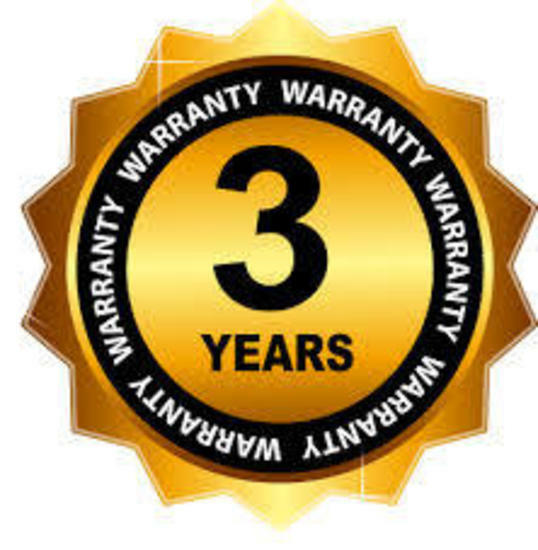 This cover seems to be far better quality than my last cover (different brand) but it lasted 3 years, so hopes are high. 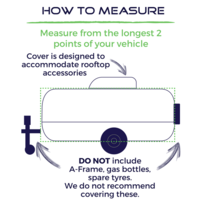 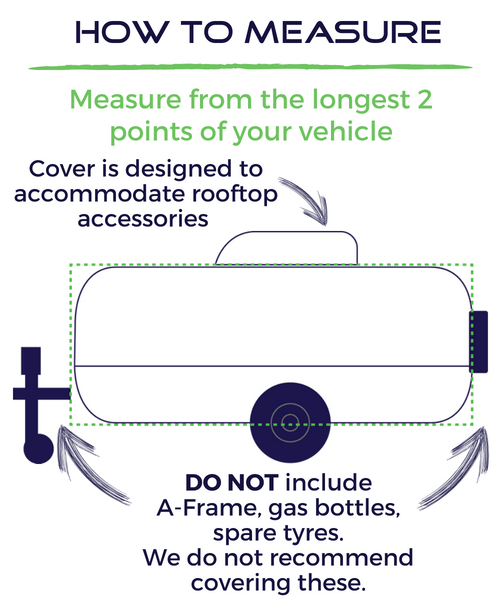 The ADCO fits our Jayco Pop Top lie a glove ... we used the recommended measuring procedure before ordering. 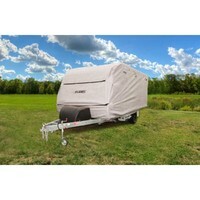 Fantastic well made product easy fitting. 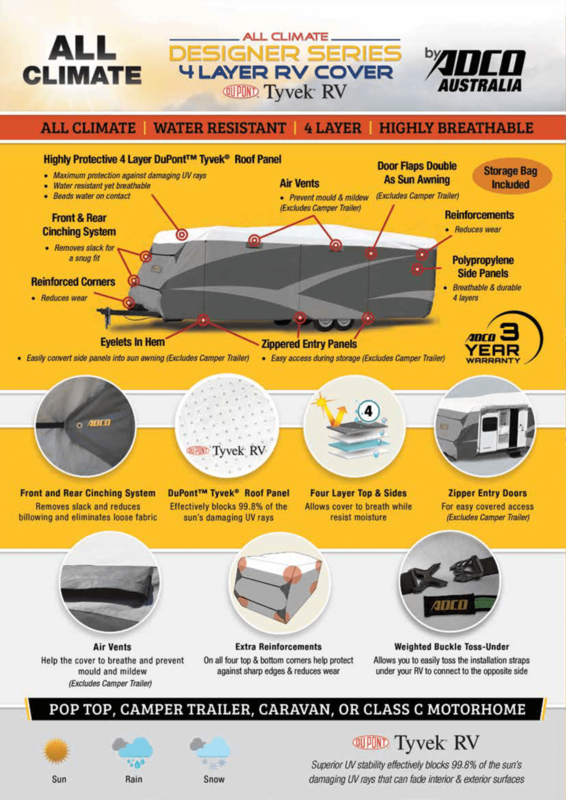 Delivered to my door in just a few days.